Do you have a preparedness or food storage experience, tip, recipe, product review, etc.? 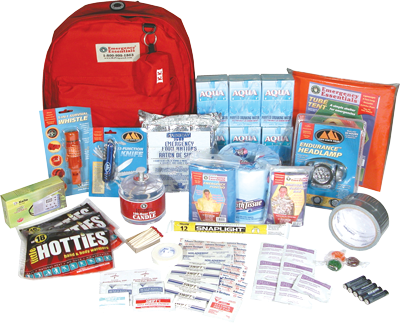 Become a guest blogger on Preparedness Pantry and earn a $20 Emergency Essentials gift card! Click here for details. When planning your emergency kits for your family, you should remember to consider any medical needs and supplies to assist anyone in the group with disabilities. This should include the obvious like keeping medication stocked up and rotated. Be sure to keep the stocked up meds as fresh as possible. It is a good idea to discuss your preparedness plan with your medical team. They may be able to help you clear a supply of meds ahead of time with your insurance company. Keep all medication in a cool, dry place, or refrigerated as per the manufacturer's directions to keep them fresh, safe, and usable. Lock them up if possible and keep the key on your regular key chain so you don't misplace it. Rotate the medications out each month. When you fill a prescription, take the new prescription and put it in the medicine box and take out the oldest prescription and use that for the current month. This will ensure a fresh supply of medications at all times. Also consider allergy medicines, vitamins, etc. that are not taken daily, but could be needed in an emergency situation. Make a list of the challenges you would face for a month in a camping-like environment, then make a list of what would make it more comfortable and sustain you during a time of crisis. It could also include things you might not think about like walking assistance, flotation assistance, and so on. Remember in times of crisis medically challenged people may need even more care, as it would be easy to panic when your safety is uncertain and you are not able to help yourself. Being prepared ahead of time will ensure you feel more in control and are more able to stay focused. Those with mental and emotional issues requiring medications should also be sure to maintain a fresh three-month supply of medications in a safe location with the emergency kit. Do not be ashamed that you need these; in a stressful time, going cold turkey off these types of medications can really derail you, and the crisis situation will not make it easier. Having a good handle on it with your medical team will help you relax and focus on the crisis at hand with a clear head. If you can, write down the things you do on a daily basis for a week or two. Write down everything you do and use, then you can apply this to help you decide what supplies and tools you need to empower yourself during a crisis. Think of ways to improvise in an emergency and ask others for ways they have overcome in a pinch. Write down your ideas and make plans with your support team if you need help leaving your home. It might even be a help to make use of speed dial by putting those in your support team into your phone. If a crisis comes, you will not be too flustered to remember or to find the important numbers needed to help you. 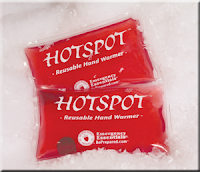 Think of other ways to set yourself up ahead of time for seasonal issues also, such as getting grippers for your shoes, or a cooling pack, fast heating hand and body warmers, and other items that would help you in extreme weather if you are without electricity. It is very important to make a plan if you yourself have special needs or you have a child with special needs. A well thought out plan can ensure there is less panicking when a crisis happens. There are also many online forums that can help you make more informed decisions on planning for a crisis when you have disabilities. It might be helpful to find a group and to bounce ideas off others in the same type of situation before you finalize your plan. You can then review it with your support team before you are done. Also consider your friends and neighbors when you are preparing for yourself. Even if you are able bodied, you may have a neighbor who is elderly or disabled who may need your help. You may be able to work out a plan with them where you can share resources in trade for assisting them where they need help. As difficult as a crisis can be, it can also bring a community together; thinking of the positive effects will encourage and build a community. Staying calm and positive will prevent rash decisions and forgetfulness that can make or break a situation. Share ideas and encourage each other to make a safety plan that fits everybody's needs and everyone will feel more secure.